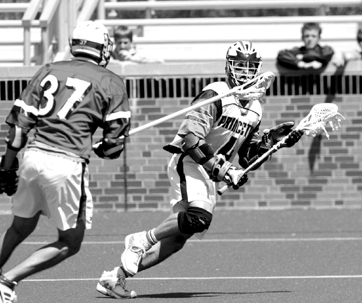 For the last four years, the Princeton University men's lacrosse team relied on Ryan Boyle to trigger its offense. This past December, the Princeton University women's lacrosse team embarked on a once-in-a-lifetime adventure as they headed down under to Australia for a 10-day excursion. Six years ago, the Princeton High boys' ice hockey team, captained by Ben Brener, suffered a disappointing overtime loss to Notre Dame in the Mercer County Tournament (MCT) championship game. Melissa Carduner managed to smile through her tears last Saturday after the Princeton High girls' swim team fell in the championship meet of the state Public B tournament. The Hun School girls' basketball team thought that it was on the verge of unlocking the mystery that has stumped Prep A teams for years.